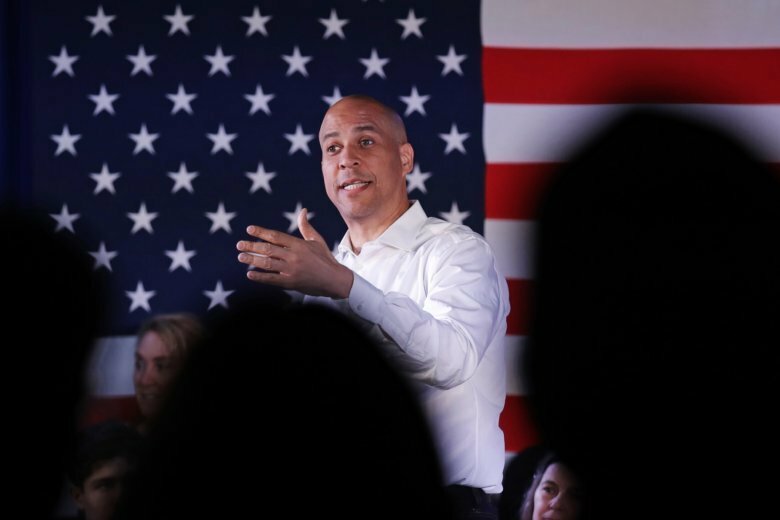 Amid music from video games and the ringing of pinball machines and the sound of cans of domestic and craft beers cracking open, Booker talked policy with local Democrats at a “barcade” in Manchester, New Hampshire. That didn’t stop Booker from trying his hand at a number of games, including a newer, four-player Pac-Man game, and a vintage arcade game — Q(asterisk)bert— after taking questions for a half-hour. He lingered for more than an hour for selfies and to answer individual questions. Democratic presidential candidate Elizabeth Warren described a squeeze on working families as she made her first appearance before Nevada voters since declaring her candidacy. Warren reminded the crowd in Las Vegas on Sunday of her work a decade ago monitoring the bailout of banks during the financial crisis and how it brought her to the gaming city to witness the epicenter of the mortgage crisis. The Massachusetts senator told the crowd how her own family almost lost their home when she was growing up and described Washington, D.C., as a place that works well for corporations and lobbyists but not families. She also spoke about strengthening unions and passing comprehensive immigration reform. Both are big issues in Nevada, which has politically powerful labor organizations and a population that’s about 29 percent Latino. Sen. Cory Booker, who called the alleged attack on Jussie Smollett a “modern-day lynching” after the actor reported it, is withholding judgment on reports alleging Smollett is under investigation for possible involvement in his own assault. The Chicago Police Department is acknowledging that the Smollett case has “shifted” after ruling out two potential suspects. Smollett’s attorneys have denied reports of his potential involvement in the alleged attack and said he will cooperate with police. The first Republican to move toward a primary challenge against President Donald Trump plans to campaign on what he calls Trump’s reckless spending and lack of preparation in helping workers shift to jobs in a more automated economy. Former Massachusetts Gov. William Weld tells ABC’s “This Week” that Trump is racking up $1 trillion a year in debt that will crush taxpayers. Weld announced on Friday that he was forming an exploratory committee for president. Booker says he could write a “dissertation” on his general disagreements with Grassley, but says the two were able to find common ground. The criminal justice deal was backed by President Donald Trump. He signed it into law in December. The brisk pace of the candidates’ stops Sunday in New Hampshire, Iowa and Nevada points to the up-for-grabs state of the race in its early stages. And Congress’ Presidents Day recess gives the senators already running some extra time to promote their agendas. Sen. Cory Booker of New Jersey is continuing his swing through New Hampshire. Sen. Amy Klobuchar (KLOH’-buh-shar) of Minnesota is set to visit Iowa. And Sen. Elizabeth Warren of Massachusetts plans to be in Nevada, the first Western state to vote in the primary.